According to the Local Consumer Review Survey, 92% of consumers read online reviews before deciding to purchase a product or try an establishment. If you want to appear higher in Yelp search results, you have two choices: purchase advertising space, or the more cost-effective route of leveraging reviews across multiple other sites with Podium. This review management tool lets you solicit and manage online reviews from over 20 sites — such as Facebook, Google, and the BBB — to help increase your rankings in search results for one low price. Watch this 3-minute video demo to see what Podium can do for you. Below are 7 steps to follow if you want to get started building your Yelp for business profile. 1. Analyze your current Yelp situation. No listing or listing with no reviews. If your search results reveal an existing Yelp profile, the next step is to Google your business and see if that particular Yelp page is showing up in the results. If it is, then you should also take note of how highly the page is ranking in Google’s search results. 2. Decide on a plan of attack. Depending on your findings from the first step, you will either want to immediately start working to boost the visibility of your profile on the search engine results page, or fix the quality of your profile and reviews first before promoting the page. If your existing profile has a lot of 4 and 5 star reviews, then you’re off to a good start and only need to boost the visibility of your profile. If your business is listed and has a lot of negative 1 and 2 star reviews, then try and reduce the visibility of your Yelp page until you can get your overall star rating up. We will give you tips on how to do this later on. Whether or not you have happy customers. If you do not get compliments during your normal day to day of doing business, then you are unlikely to get positive reviews on Yelp. Therefore you should not try and boost your Yelp page visibility. Whether or not customers look for you on Yelp. If you have happy customers then how much time you want to invest in Yelp is going to depend on how often your potential clients use Yelp when searching for businesses like yours. 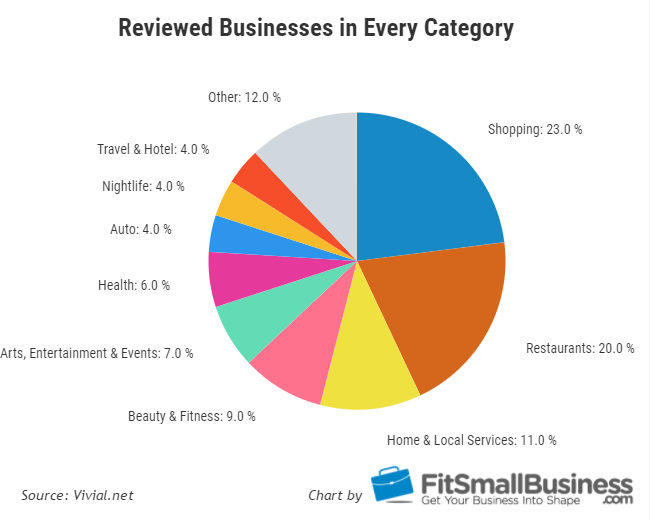 Below is a graph showing the categories of businesses people look for on Yelp. If you belong in the categories with high search ratings, then there’s a possibility for your establishment to frequently appear on searches. 3. 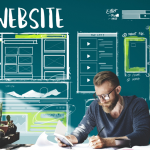 Claim or set-up your page and optimize it. Fix your company profile. Make sure that your business name and address information are filled out correctly and follows the exact same format as you use on your website and other sites like your Google Plus and Facebook page. Also, remember to fill out your business hours. List all the relevant categories for your business. Build your photo gallery. Add at least 5-10 photos to your profile including the location, store facade, interiors and menu items. Give a detailed description of the business and the business owner and keep in mind particular keywords that customers use when searching for your business. Below is a sample of a good business profile on Yelp. The page has a good number of reviews, high star ratings, complete company profile, detailed business hours, estimated spending budget, a good selection of keywords and numerous photo uploads from customers. 4. Work on getting as many reviews as you can. The most important aspect of your Yelp profile, above even your business information, is the customer reviews. Yelp is, first and foremost, a review site and users check it out to read reviews about your establishment before deciding to visit your business or not. Ask for reviews from friends and family. If you are a small business who has just set-up or claimed your business page on Yelp, it’s a good idea to ask your relatives and friends to leave a review. However, this route is not as easy as it seems. 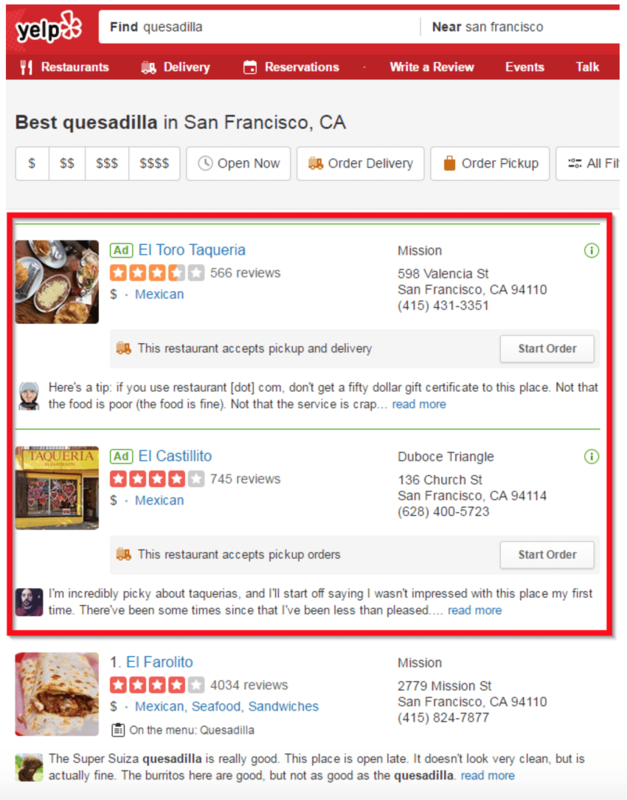 Yelp has a sophisticated algorithm that filters reviews and decides which ones are going to be visible on your page. This prevents users from asking random people to leave planted positive reviews to improve their profile. The reviewer doesn’t have a complete profile. The reviewer doesn’t have any friends in Yelp. The reviewer’s profile is not integrated with any social media accounts. The reviewer is not based near your establishment and is probably from another state based on previous reviews made. Multiple reviewers logging in on the same computer which can be tracked through the IP address. The reviewer has only made a single review. The reviewer only leaves positive reviews in all establishments. Get your customers to leave a review naturally. Post a Yelp badge linking your Yelp Business Page on your website. Print out and frame your best Yelp reviews and position by your cash register and other prominent areas in your establishment. When someone pays you a compliment in person or via another method, ask them to review your business on Yelp. Reach out to people who have left positive reviews in other places such as your Google plus page, and ask them to leave a review for you on Yelp. Add a “find us on Yelp” link to your email signature. Send an email to your email list letting your subscribers know you are on Yelp. Do the same on your social media accounts such as Facebook, Instagram and Google Plus. Create a Yelp Deal. We will talk more about this below. If you have a bar or restaurant, contact your local Yelp elite community manager and ask them about hosting an event. Offer customers Free wifi and embed your Yelp page by default when they login. 5. How to fix an existing profile with negative reviews. While having a lot of reviews on Yelp is important, it’s equally important that they are mostly positive. However, no matter how good your business is, you are bound to have an unhappy customer or two. 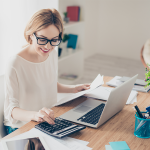 If you deal with negative reviews quickly and in the proper manner then you increase the chances of getting the reviewer to revise or remove their review. The best way to address negative reviews is to respond to them by answering their concerns or offering a solution to their problem. While this might not always appease a displeased customer, it shows other people visiting your profile that you are listening to their complaints and are willing to rectify them. 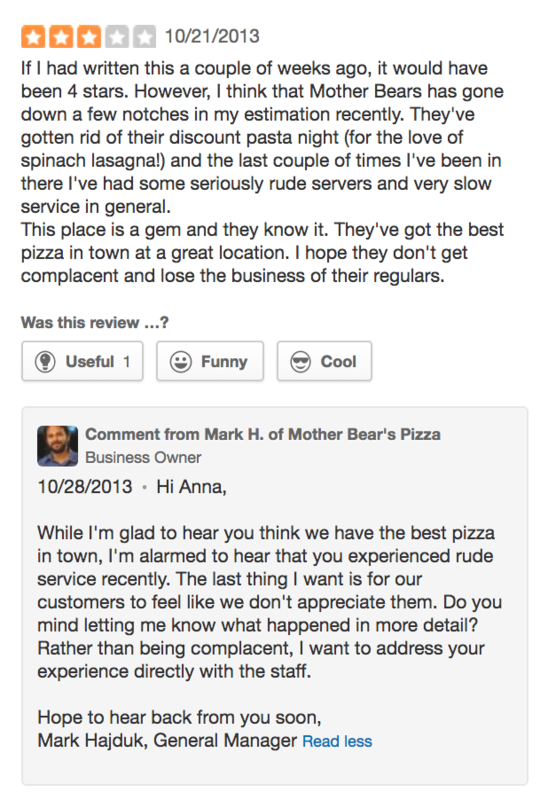 Do not get into an argument with the person who left the review. While you may be right, this will do nothing but add fuel to the fire. If the customer leaving the negative review has a legitimate complaint, respond to the review publicly on Yelp, apologizing for the problem and state what you are doing to improve so it does not happen again. Once you have responded publicly, message the person privately, apologize again and offer them something like a meal on the house. If the person responds and seems happy with the resolution, ask them if they would either alter or remove their review. If they do not respond do nothing else. If a customer attacks your establishment with a negative review that has no basis then do not respond as this might just make the situation worse. 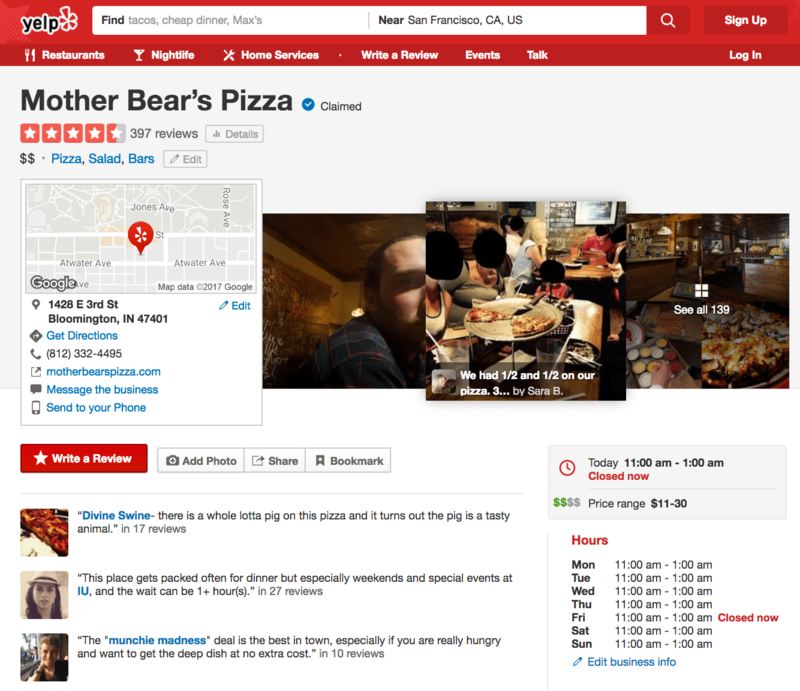 Check and see if the review violates Yelp’s content guidelines. If so, you can login to your business account, click “view reviews” and then flag the review for removal. Below is a screenshot of a good response to a negative review. The General Manager made it clear that he was open to addressing the concern by asking the customer to provide more details about her complaint. 6. 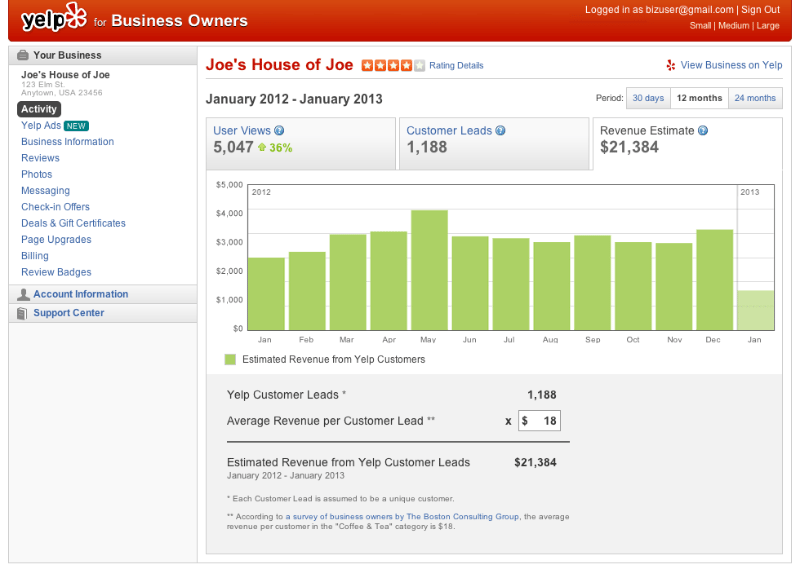 Track your customers’ activities with Yelp metrics. Yelp has a metric dashboard for businesses that provides information and analytics on users behavior when interacting with your profile. Through these metrics, you can determine the traffic and interaction your profile receives during a particular period of time. Activities and customer interaction may include uploading photos, leaving reviews and checking-in at your establishment. You can then use this data to the best times to run a deal. Below is a screenshot of the metric dashboard showing spikes in revenues on particular months and customer leads through Yelp. The dashboard also shows the breakdown of leads such as mobile check-ins, map views, deals sold and other customer activities. 7. Consider advertising on Yelp. While advertising is an effective way to generate awareness about your business, Yelp may not be the best advertising platform for your business. First, you must have an average of 3-star rating before being eligible to advertise. Second, you must have an established business profile. People see Yelp as a review platform so they want to see a great number of reviews before they even click on your profile. A user probably won’t consider going to an establishment with subpar ratings. If you don’t meet these two items, then you probably should reconsider advertising on Yelp as your business will not benefit from the investment. If you do have a good amount of positive ratings, but your profile is still not showing at the top of the results page on Yelp, then you may want to consider Yelp advertising. Below is an example of what a Yelp advertisement looks like. You’ll note that the advertisers have a great number of reviews and high star ratings which will help convince customers to try out their establishment. The relevance to the search that a user made. The more relevant your ad to the search, the less you are likely to pay. Relevance is based on how many keywords in the search match keywords in your ad. For example, a cafe might also appear in search results for restaurants, but that won’t be as close of a match. If your restaurant is not in the exact area of the search, but in a neighboring town, this will also slightly decrease the relevance. How saturated your area is with similar businesses to yours. In short, the number of competitors you have in your area. The higher the competition, the more you can expect to pay. While rates are not published, most small businesses spend around $300 – $1,000 per month. Advertising on Yelp is also on a per-contract basis and can run for 3, 6 and 12 month periods. Want $300 in free advertising? Click here to get started. Yelp is considered as one of the leading review sites and provides a good opportunity for your business to be seen by your potential customers. However, as we’ve outlined above, it takes a game plan, effort and time to have a Yelp profile with great reviews. Once you have established a page with a great number of good ratings, your Yelp profile will do the work to organically attract customers to your establishment. Jillian is a content writer for Fit Small Business specializing in marketing and tech reviews. too bad that the Yelp deals are so generic. I found no opportunity to have the deal refer to a specific product or product line. The Yelper comes in with a Deal Voucher for $40.00 that they paid $20 to Yelp for that deal. From that, as a merchant, we get $14. Yelp takes $6. When we run on such close margins, the $14 revenue for $40 of product means we lose money. THe Deal page would be great for us if we could specify a specific product where the deal applies. Thanks for sharing your experience with our readers. This is a very informative and good article. I liked it. We are deploying the actions with a plan in our multiple businesses. We are making effort to improve our standing on Yelp each day. The Yelp algorithm is tough and seems unfair at times! Negative reviews with zero friends etc etc tend to stick while similar positive review can get filtered. Our Spa team is trained to serve each customer the utmost high standards every time. Glad you enjoyed the post, and thanks for sharing your experience with Yelp! legitimate activity what so ever. I wish we could review Yelp… ZERO Stars! We have also noticed that thousands of business owners have had great success by filing complaints against Yelp with the Better Business Bureau. Great article. Thank you for sharing your information. But your slideshow is riddled with misspellings/typos and this leaves me with a negative connotation to your business advice. I recommend you review it and fix it. Thanks for the heads up Robert. We have removed the presentation for now and will add back once resolved. Extremely informative article! Thanks for the Yelp Help. My pleasure Jodie thanks for reading!